Donated. Listen every week, always impressed, thanks. 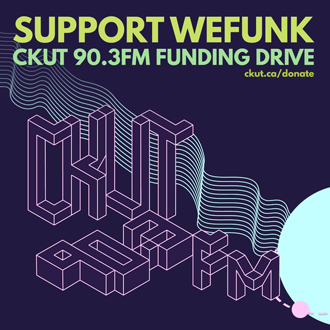 WEFUNK unleashes solid gold funk from Eddie Bo and George Duke, heavy-hitting hip hop by Illa J and Elucid, as well as a brand new Tony Ezzy track as we kick off our first show of the CKUT Funding Drive. DJs & GUESTS DJ Static, Professor Groove, Nesha, Tony Ezzy / RECORDED November 14, 2008 / HOSTING PJ, Mike, Oliver & daduke. You can help too!